Your home heating system can wear out due to a variety of problems. It might not be maintained regularly or it might have been used for far too long. Perhaps the unit is an older model that requires more power. Regardless, you must repair your home heating system at some point in time.There are three important things that must be reviewed in your system. These should be checked to see that whatever you are using is safe and capable of generating enough heat. These can even be checked before any problems come about in your system so you can get a clear idea of what needs to be done to prevent any problems from being worse than they could be. First, you should look at the air filters in your heating system. The air filters in your heater can develop a substantial buildup over time. This will keep air from moving well and can clog up many other parts in your heating system. Air filters should be cleaned out or replaced every month. In many cases, a repair can simply entail different filters replaced although it is best to do this as soon as possible. This is to prevent serious problems relating to a filter working from developing. The second point entails the thermostat. The battery in your thermostat should be tested to see that it is working properly. Sometimes the battery can be replaced to fix your system. You would simply need to replace the batteries to test it. The thermostat can be examined based on how well heat can be generated. A test can be used to see how well air moves through the heater. The test may help you see if there are problems relating to your heater or if it is working fine. The third and final point to check is the power source for your heater. If the thermostat and filter are both changed around and the situation does not improve, you would have to get the power source replaced. The circuits to your system would have to be inspected to see that everything is safe to handle. A circuit breaker can blow a fuse on occasion. This could keep the power from moving through the heater well enough. It creates a real problem in many cases, but if fixed properly will be a little easier to work with. 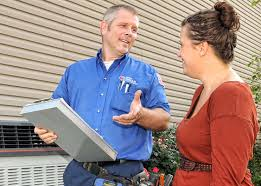 If you have questions, call the Dallas residential home heating experts, Dallas Plumbing Company.